An expertly formulated multi-nutrient supplement that provides a broad spectrum of vitamins, minerals, and amino acids to help cats meet their unique set of nutritional needs. Although every member of the animal kingdom relies on correct nutrition to maintain a good state of health, cats have a unique set of dietary requirements. Cats have a physiological need for a range of nutrients that are not truly essential for other species, and they must obtain these vital factors through their diet to reach their ideal healthy state. 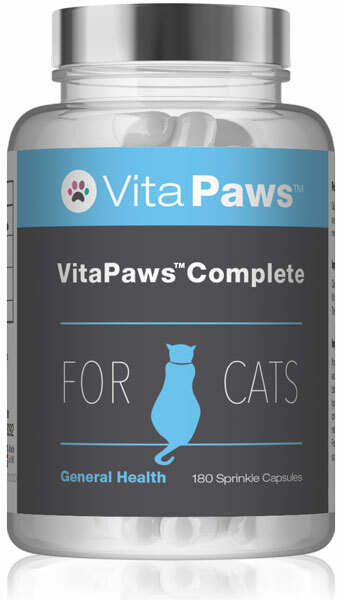 VitaPaws™ Complete for Cats is an advanced multi-nutrient supplement that has been expertly formulated to support the health of your cat. Each sprinkle capsule provides a broad spectrum of vitamins, minerals, and amino acids to give you the peace of mind that your cat's micronutrient requirements are being met, helping them to enjoy optimal health and a good quality of life. The B vitamins provided by VitaPaws™ Complete for Cats allow for the proper utilisation of proteins, carbohydrates, and fats supplied by the diet, facilitating the release of energy from food and the synthesis and maintenance of tissues. 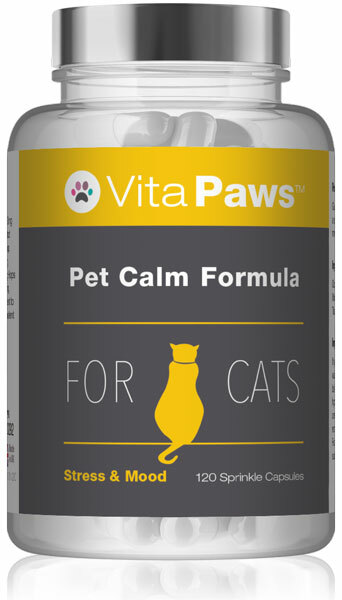 VitaPaws™ Complete for Cats also supports the cat's immune defences and reproductive health by providing a beneficial level of zinc, which is an essential trace mineral distributed throughout the feline body. The formula also features L-lysine, which is popularly chosen to support a cat's immunity. The addition of the fat-soluble vitamins, vitamin A, and vitamin E help ensure that VitaPaws™ Complete for Cats provides the nutrients a cat needs to maintain the health of the skin. 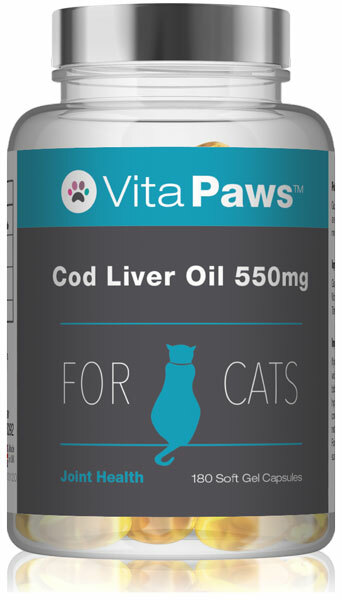 This supplement also includes biotin and omega 3 essential fatty acids to help maintain the appearance of a healthy coat. Our experts have developed this product to provide beneficial amounts of vitamin D, magnesium, and manganese. These nutrients are known to contribute to the maintenance of healthy bones and normal muscle function. 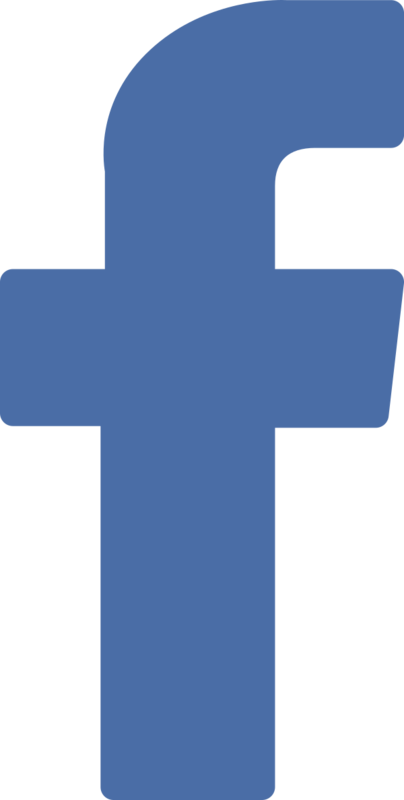 For animal use only. Consult a vet before using this product if your animal is pregnant, lactating, taking prescription medication or under medical supervision. 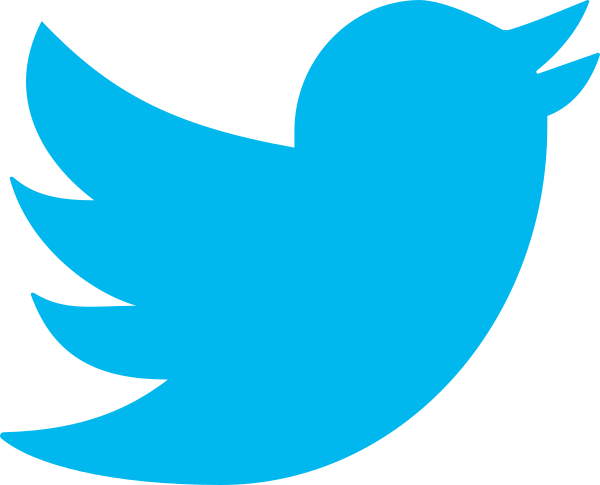 Discontinue use if adverse reactions occur. Do not exceed recommended serving. Store in a cool, dry place. Keep away from children at all times. Do not use if seal under cap is broken. Not suitable for puppies/kittens.